Lorna – a Peak District National Park engagement manager who leads a team of rangers – begins her challenge at the northern-most park – the Cairngorms National Park. 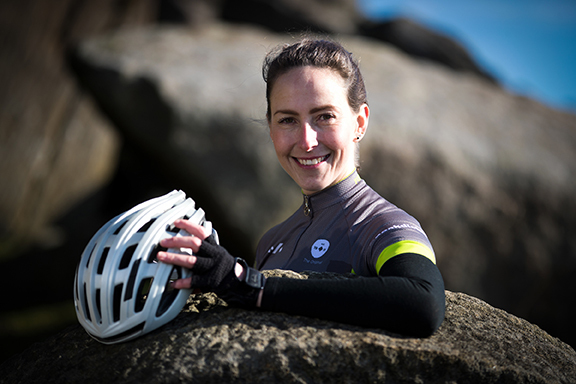 She will pedal through national parks in Scotland, Wales and England, ending in the Norfolk Broads National Park on 27 April. She will cycle through the Peak District on Friday 19 April. Lorna’s marathon bike ride also coincides with National Parks Fortnight (6-21 April), reflecting on the 70th anniversary of legislation which ultimately led to the Peak District becoming the UK’s original national park in 1951. Picture caption: Lorna Fisher is to cycle 1,658 miles between all 15 UK National Parks to raise funds for #70kfor70. 1. Interviews can be arranged via the communications team at Peak District National Park Authority (01629 816200). 3. 2019 is the 70th anniversary of the National Parks and Access to the Countryside Act 1949, which set out to protect landscapes and make the countryside more accessible to people, paving the way for the creation of UK National Parks. 4. More information about the Peak District National Park Foundation is on the website www.peakdistrictfoundation.org.uk. ← Previous Story Target bad driving – not just phone use!